Tony McVeigh FQ & Zarjaz contributor and is looking for an artistic collaborator for his new action\adventure webcomic. 1.) Looking for an artist who can pencil and ink (colour is welcome also but optional). 3.) This is unfortunately an unpaid position. 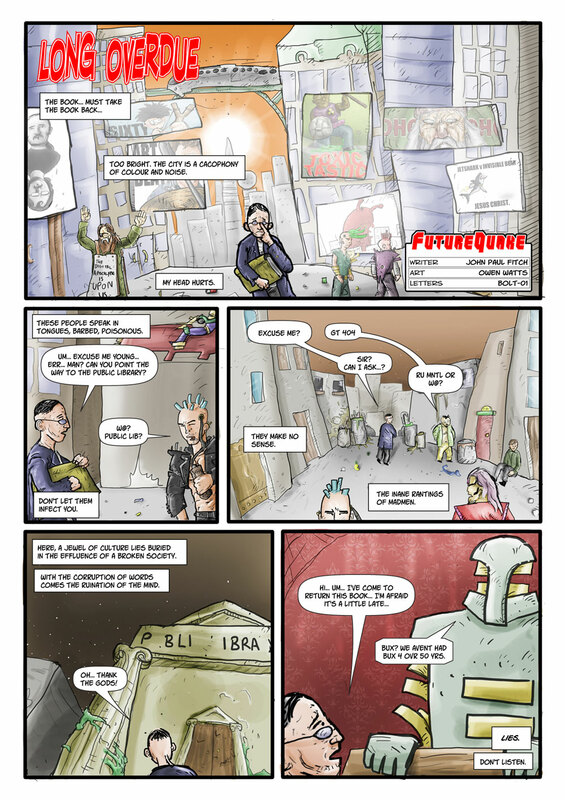 For a look at Tony’s previous work check the Published Works slideshow on the sidebar of his blog http://youarecomicscomicsblog.blogspot.com/ or have a look at his other ongoing webcomic Better Angels (http://betterangels.thecomicseries.com/). 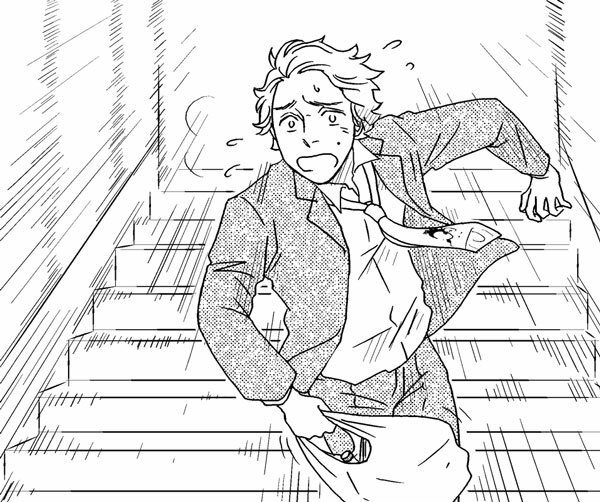 Anyone who is interested and wants to know more can contact Tony at tmcv.youarecomic@googlemail.com. 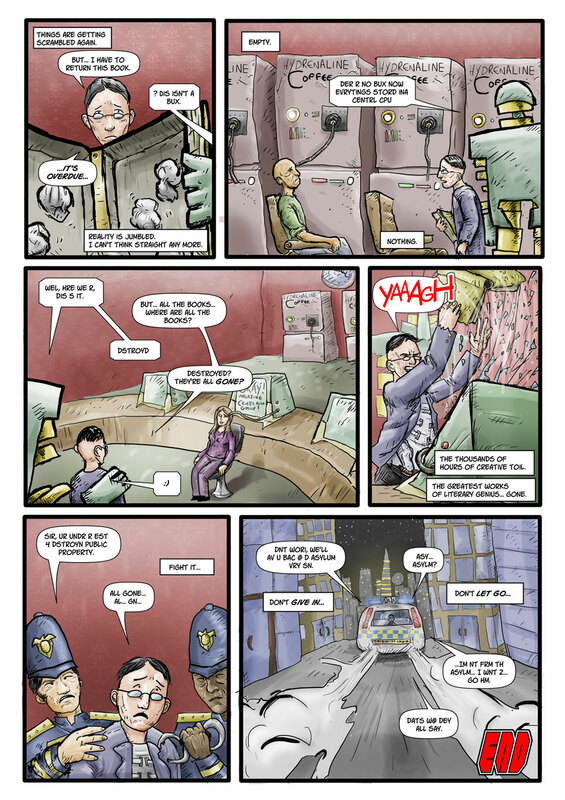 Coming to the pages of Something Wicked 08, Five Minutes To Midnight is by Dirk Van Dom and Tim KiKydd. Every now and then here at FQP we’ll get a script from a writer that we like, but we know that it isn’t quite ‘there’ for want of a better word. However, it can be difficult to determine exactly what needs to be done to the script to really get it right. This is one of those scripts. When John sent it in I thought seriously about rejecting it, but then I had an idea- what if, instead of rejecting it we instead passed it over for a training strip that once completed was placed on the blog for all tosee and comment on? John was happy for this to go ahead, and so began the next stage; the artist. I’ll not mention any names of artists attached to the strip, save for one- Owen Watts. Folk who’ve been around for long enough will know that Owen has contributed a few times to FQ- once he reworked an existing strip that had already run in FQ, the second time he produced a set of pages for the first FQ Family special, which were themselves reprinted in FQ proper. 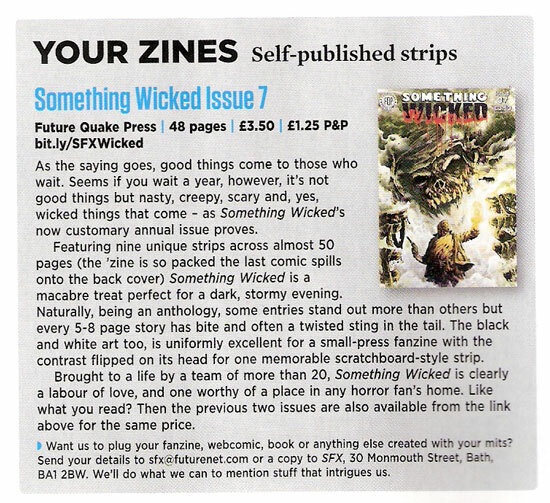 Fanzine of the month for something wicked 07. Just seen this in Asda. Made my day. Congrats to all involved. This is a proper scan from the copy I’ve bought. Click on it to read it easier!